Eagle River proudly lays claim to “Snowmobile Capital of the World” – and for good reason. 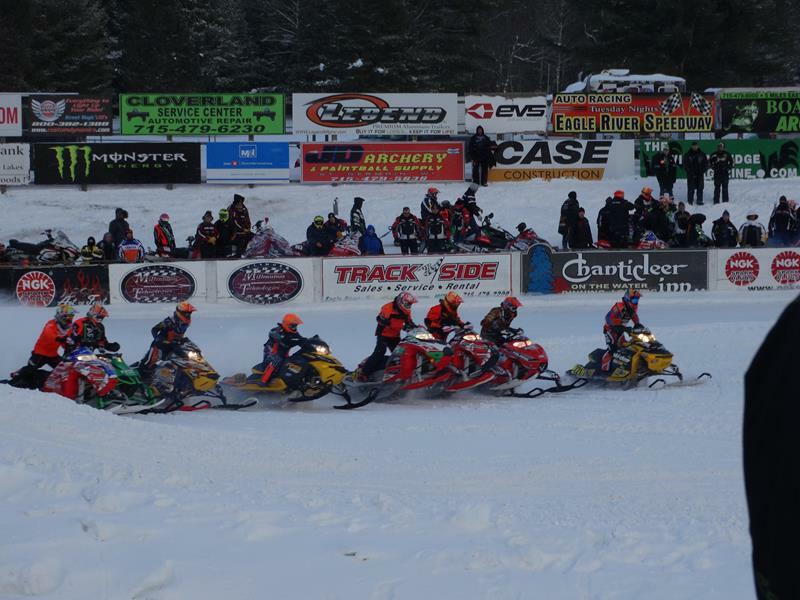 The AMSoil World Championship Snowmobile Derby happens this weekend, and despite the relatively mild temps ice water will run rampant in the veins of the racers! 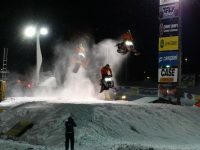 Since 1964, Eagle River has hosted the AMSOIL World Championship Snowmobile Derby; it’s the Indy 500 of the snowmobiling world. Hundreds of snowmobilers from juniors in boys and girls categories to the best competitors in the world compete in snocross and ice oval racing, grabbing huge air and hitting speeds of 100mph on the straightaways! Plenty of action takes place each day now through Sunday, when the World Derby Championship starts at 3pm. Enjoy the action up close by the track or warm up in the Expo Hall, where you can shop for great stuff, imbibe on hot food and cold beer, or watch the action on TVs in the upstairs bar. 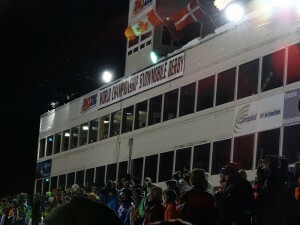 Heated skyboxes are also available. Hit U.S. 45/Highway 32, or Highway 17 or 70 to get to Eagle River and experience this for yourself! And then take advantage of some great trails throughout Vilas County.